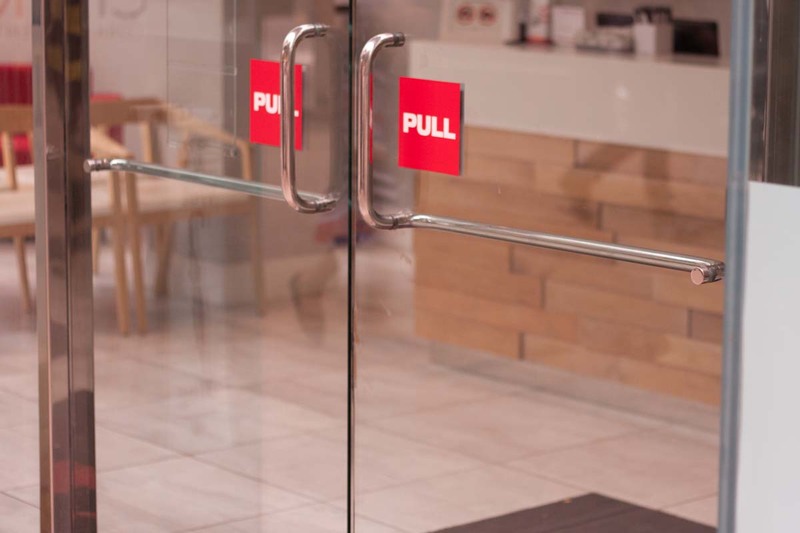 Commercial glass doors add class and beauty to storefronts, office buildings, hospitals and clinic entrances as well as other commercial businesses. Best of all, there are a wide variety of commercial glass doors that you can choose from such as double pane glass doors to sliding doors, to revolving doors, and even etched glass doors. Tempered glass doors are ideal for commercial establishments as the glass is somewhat stronger while still can be clear as crystal. It can sometimes seem difficult choosing the right commercial glass doors to match your buildings appearance. However, at Highgate Door Repair and Installation this will never be a problem. Not only do we have a variety of different styles of glass door for you to choose from, but our sales representative can also help you to choose the right commercial glass door to meet your needs. If you are unsure which type of door is the right for your building, we will be happy to visit your building’s location and discuss with you which of our commercial glass doors are best suited for your building. Having installed glass doors on many different types of commercial buildings, we have an eye for what type of door is best suited for most buildings and are more than happy to give suggestions to you. Once you have chosen the glass door that best meets your needs, one of our door installation staff can install the commercial glass door for you making us a one stop shop for your glass door needs. 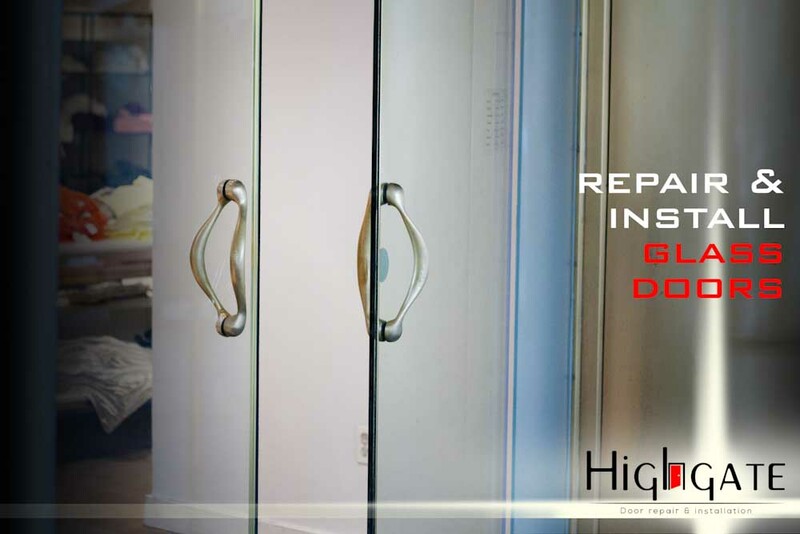 We also offer commercial glass door repair and services so that you won’t have to hunt around should your glass door ever need to be repaired. Of course we offer our customers a guarantee that their commercial glass doors will be installed or repaired correctly. If you are looking for a commercial glass door that blends seamlessly in with your storefront glass, or just need the commercial glass door done right, then give us a call at 212-860-5477 and we will be happy to be of service to you.